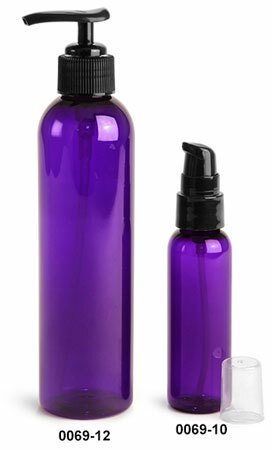 These purple PET cosmo round bottles are fitted with stylish black lotion pumps and are available in two sizes. 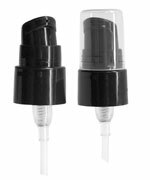 The 2 oz purple cosmo round bottles come with black treatment pumps while the 8 oz plastic bottles come with black standard lotion pumps that have a locking neck to help prevent leakage. 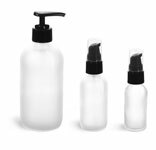 While these bottles could be ideal for dispensing any number of products such as lotion, liquid soaps, and gels, be sure to test them with your products to ensure proper compatibility.